Laurels are an extremely popular species made up of numerous trees, shrubs and hedging plants. Their practicality and aesthetic appearance come second to none as they are seen in thousands of gardens throughout the UK. 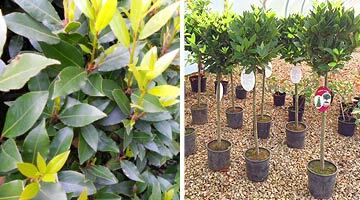 Hedges Direct supply the best selection of Laurel hedging plants, from compact low hedging to ready-grown screening, we have the perfect Laurel variety to suit your every gardening need. 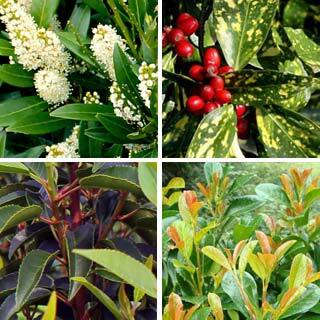 The types of Laurel plants we provide are evergreen, providing year round cover and interest. Each has a unique set of characteristics that can be utilised to help you achieve a range of gardening goals. With an abundance of practical advantages, added interest and ability to grow in challenging environments, Laurel hedging should certainly be a major contender when considering garden hedge ideas. Some, but not all of our Laurels are available as Bare Root, Root Ball, Pot & Cell Grown, Topiary and Instant Hedging. All are available as Pot Grown, for year round planting. 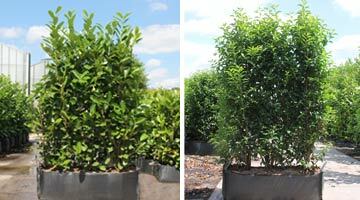 Cherry Laurel hedging plants are our most popular option, hence its alternate name, the Common Laurel. This large Laurel plant is primarily utilised for its thick, large, glossy green leaves, which make an effective privacy screen that reduces wind and noise passing through its dense structure. You can purchase this species from 30cm to 3.5m in height allowing you a great choice of sizes and prices and the ability to achieve instant impact from planting day should you so wish. 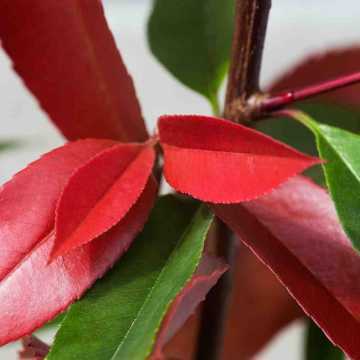 Portuguese Laurel has rich, darker green leaves on deep red/pink stems. 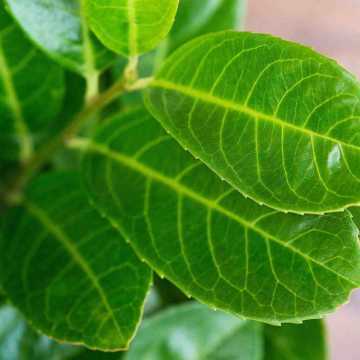 The leaves are more pointed than the rounder Cherry Laurel and have a flowing, elegant habit. This lovely classic evergreen hedge also develops small sprays of white fragrant flowers in Spring with little red/purple berries later in the year. It is available in a range of heights and maturity to suit any garden. For truly instant hedging, both Cherry Laurel and Portuguese Laurel aslo come in ready-grown units for a seamless hedge in an instant. With beautifully developed, bushy mature foliage and a strong and well established root structure, these instant hedging troughs once planted will create a healthy, complete hedge for impressive impact. Hedge heights are available from 1m up to 1.75m for the ultimate impact, and whilst not the cheapest of hedges, they certainly have their place with customers looking to achieve a fully developed hedge in the quickest possible time. Go to our Instant Hedging page for information on all our instant hedging options or for more information on the Laurel instant hedging go to the individual species page for Cherry Laurel or Portuguese Laurel. As well as their practicality, Laurel shrubs are used in some wonderful garden designs for their aesthetic appearance. They are used as low hedges to create emphasis and structure by bordering larger plants, pathways and other garden features and for their remarkable colours. 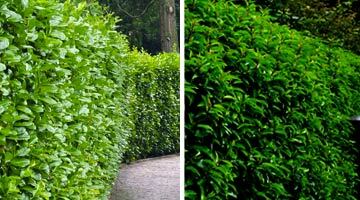 For low growing Laurel hedging, consider Compact Laurel or Spotted Laurel. Compact Laurel also known as Prunus laurocerasus Otto Luyken, is a small, sturdy plant with dark green leaves that have a lightly shaded underneath. 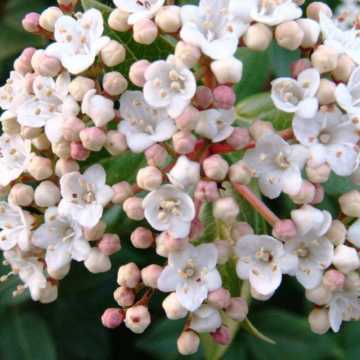 It boasts white flowers in spring before displaying shiny, black and red berries in autumn. 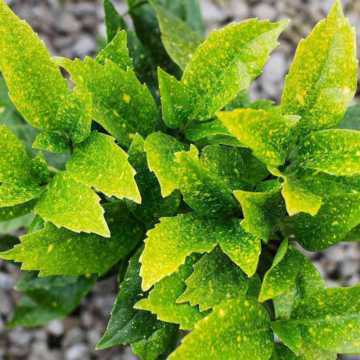 Spotted Laurel, also known as Aucuba japonica Crotonifolia or Japanese Laurel, is famous for its variegated foliage, polished green leaves with gold and yellow splashes. Its distinctive foliage is also complimented by small red berries in Summer. 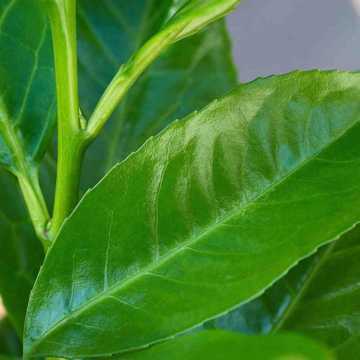 Portuguese Laurel is noted for its dark glossy green leaves and dark red stems whilst Laurel Etna has bright green rounded glossy leaves that on initial growth have a beautiful warm bronzed appearance before turning green as they age. It also features soft white flowers in Spring and glossy black berries in Autumn. An array of British birds and other small animals adore the luscious berries that laurel hedging plants produce, bringing added wildlife value to a garden. Bay Laurel is the only member of the Laurel family that is both edible and fragrant. 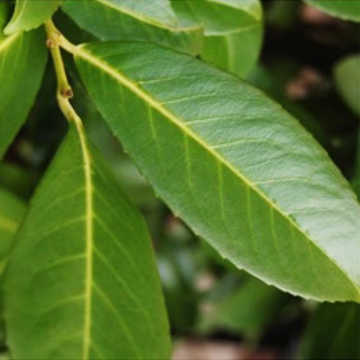 Famous for its culinary leaves used dried or fresh to season many a dish, Bay Laurel also known as Sweet Bay, is a favourite for a number of reasons. 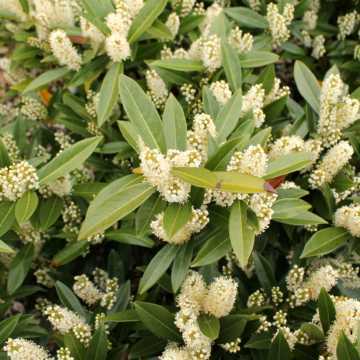 As a hedge, Bay Laurel has a beautiful deep green foliage, lighter at the tips where the new growth is developing and boasts sprays of pale yellow-green flowers in Spring. 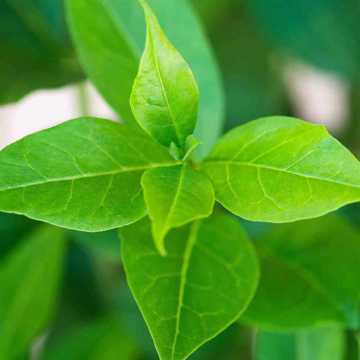 Its fragrant leaves bring a touch of the Mediterranean to any home or garden and its origin also means it has a natural drought tolerance in hotter weather. This lovely evergreen however, is also the perfect shrub with which to create Topiary Standards, which produces plants with a long clear stem on which a ball of foliage sits proudly at the head. These delightful plants often grace gardens, walkways, entrances and even homes with their classic topiary styling. See our Topiary Standards page for more information. Difficult growing sites determine whether certain types of plants will be able to establish. We all want to look outside our windows and see our plants thriving in strong, healthy conditions and not succumb to environmental damage. There are little restrictions as to growing conditions for Laurel hedging plants as their hardiness is a main factor in their popularity. All of the laurel species we supply will develop in poor soil conditions as Compact Laurel, Laurel Etna and Cherry Laurel thrive in well-drained, dry sites, whereas Spotted Laurel & Laurel Caucasica grow particularly well in moist and wet soils, although all will grow adequately in either dry or damp conditions. 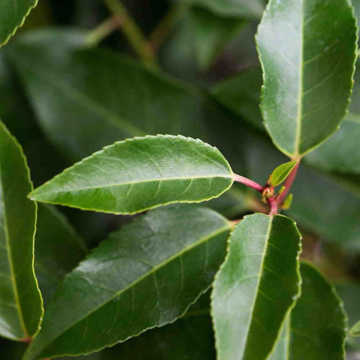 For those planting in covered or shaded areas, all of the Laurel species we offer flourish in full shade, with the exception of Bay Laurel which can withstand partial shade. Choosing a Laurel hedge can be baffling so weve collated this useful chart to try and make life a little easier. Remember all of these Laurels are evergreen. There are no serious Laurel hedging problems associated with any of the species we supply. 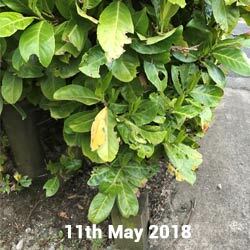 There are a number of minor problems which can cause leaves to look unsightly with brown patches in places, ragged leaves and the development of holes in the foliage. Powdery Mildew and Leaf Spot Fungi can be an annoyance creating browning, leaf distortion and some holes when conditions are suitable for growth. These damp conditions can also encourage Bacterial Shothole where brown lesions with a yellow circumference eventually give way to the dead material falling out creating the 'shot-hole' appearance. Treatment of Powdery Mildew and Leaf Spot Fungi conditions can be achieved with a number of fungicides readily available from garden centres, but even without treatment plants will often grow through the issue with new leaves unaffected by the problem, which generally looks more serious than it actually is. This is usually the case with Bacterial Shothole caused by the bacteria Pseudomonas syringae, a natural bacteria present on all Laurels. When active a lesion will only grow so far before the plant's defences kick in and create a protective barrier to keep it from growing. This allows the affected material to then be contained and die off thus creating the holes, so in effect the plant is actually healthy if this is occurring and simply dealing with the problem on its own. New growth will cover up the affected areas naturally. Read our Shot Hole Information Sheet for more information. To prevent the development of these issues, keep Laurels well fed and watered, but only water at soil level and not over the foliage as this will ensure any problems are kept to a minimum. It's worth remembering that Laurels are very hardy and that looks can be deceiving in this instance with problems being more aesthetic than systemic. We are no strangers to being asked if certain Laurel bushes are poisonous to household pets or humans (particularly small children). ALL parts (leaves, berries etc.) 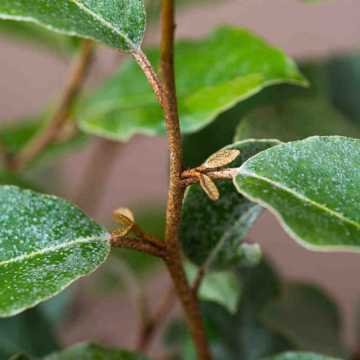 of all Laurels, apart from Bay Laurel, are poisonous to livestock and animals. 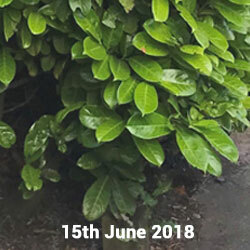 We have had no reports of children or pets being affected by the foliage of these hedging plants; in our experience they hold no real attraction, however it is best to avoid planting next to livestock and if you are concerned about your pets and children wed recommend choosing Bay Laurel or looking at alternative hedging plants some of which are suggested below. 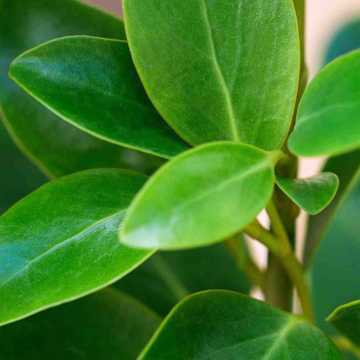 Griselinia and Oleaster offer the same evergreen cover as most Laurels and also have glossy foliage but are non-toxic, so ideal if youre planting next to livestock. The three species below offer similar features however they are toxic to livestock and shouldnt be planted in close proximity.